This is a sturdy chair, durable chair that can come either fixed or with a swivel function. 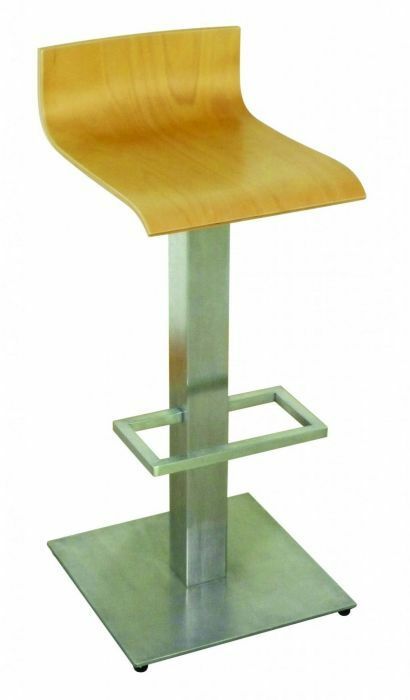 The base and column is constructed from stainless steel making this stool perfect for all heavy duty establishments. A contemporary style bar stool with a stainless steel square base for extra stability. This bar stool also has an integral footrest for extra stability.